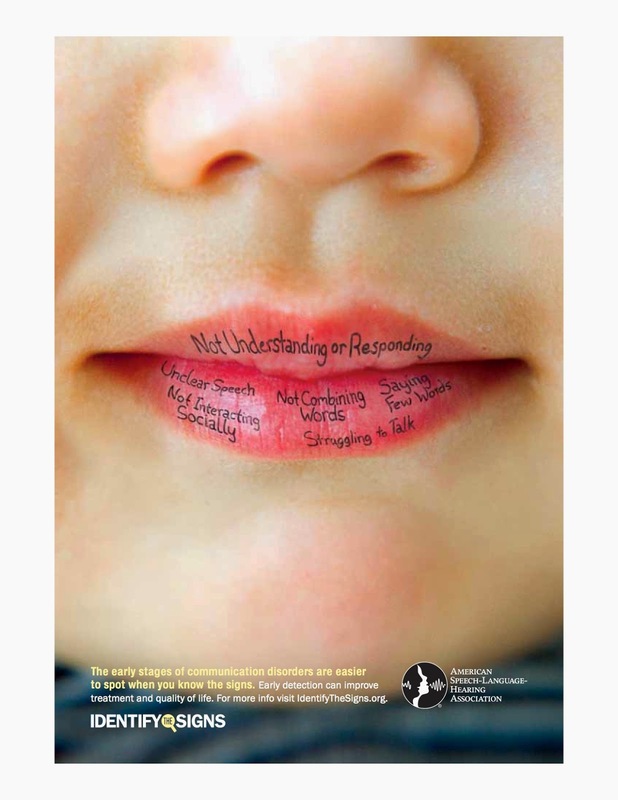 A new, nationwide effort to educate the public about communication disorders was recently launched by the American Speech-Language-Hearing Association (ASHA)—a professional association of which I am a member. Called Identify the Signs, this campaign specifically aims to help people recognize the early warning signs of communication disorders. An estimated 40 million Americans have trouble speaking or hearing due to a communication disorder. Millions more family members and friends are also impacted. Here in Utah, there are parents reading this whose children are struggling to speak or understand language; spouses living with partners whose hearing is deteriorating; and co-workers, neighbors and others who see someone who needs help but don’t know what to do. Identify the Signs offers tools to change that. With 4 years of experience working in the field of communication disorders, I have seen the debilitating effects that these issues can have when left unaddressed. Too often, people wrestle with these challenges for years because they fail to receive proper, timely treatment. Early detection of speech, language, and hearing issues is absolutely critical to improving academic, social, and career outcomes—and improving one’s quality of life at any age. For people with communication disorders, those closest to them are often their biggest asset. Unfortunately, some parents and caregivers are unable to identify the warning signs or dismiss them too readily. A recent poll of speech-language pathologists and audiologists by ASHA reported significant parental delays in getting help for children with communication difficulties. This is just one example of the missed opportunities that commonly occur with communication disorders. Through a series of TV, radio, print, digital public service announcements, and the campaign website, the public can learn about the warning signs and be connected to professional help. I encourage you to visit the website, and share the information and resources you find there. Above all, though, I hope you will seek help if you suspect that you or a loved one shows signs of having a disorder. Be sure to check back often this month because I will be posting several flyers/informational brochures from Identify the Signs.